The solution to many of world’s problems including war, sexual harassment in the workplace, pay equality, lack of compassion, lack of empathy, treatment of animals (the list goes on) is really quite simple. WOMEN NEED TO BE IN CHARGE! Men have been in charge for a very long time and our antediluvian approach to conflict, politics, business, tech, and of course the treatment of women has failed our society. It’s now time to try something else. I have no shame, no embarrassment nor do I feel like less of a man in saying that a switch-over from this Toxic Patriarchy (and ridding the men in charge who continue to reinforce it) to a full-on Matriarchy would change the world in ways never before comprehended. I’m willing to bet if a woman were running the United States, Iran, North Korea, and many of the middle eastern countries we wouldn’t be in these testosterone fueled messes and the world be much more peaceful. As for sexual harassment? 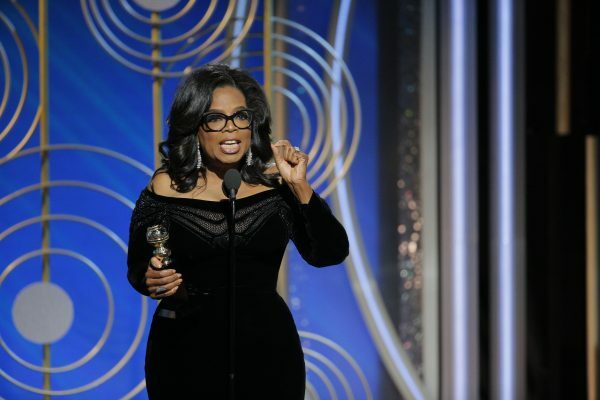 Can you imagine what would happen if a man working for Kathleen Kennedy, Sheryl Sandberg or Oprah Winfrey made lewd sexual comments or exhibited inappropriate behavior directed at them? Unless they were on a career suicide mission they wouldn’t dare even think about it. 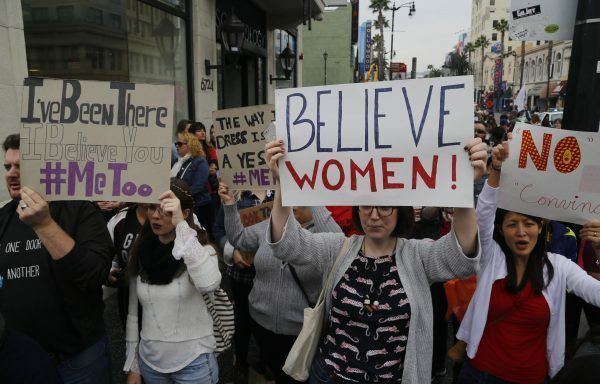 Participants march against sexual assault and harassment at the #MeToo March in the Hollywood section of Los Angeles. The fact that women are exceptional, smart and remarkable on so many levels is not exactly news. Those of us men who have been paying attention have long known this to be an irrefutable truth. But, my fellow gentlemen, let us not get to priggish because we think we are “the select few” who treat women with the respect they deserve. That is not enough. The time has come for us to act. It’s time to use our power and influence to disabuse other men of the notion that women are subordinate or worse, somehow our play things. They are not. They certainly do not exist to serve our concupiscence. When we see offensive and unacceptable behavior… man up, confront it and shut it down. Since confrontation is what we seem to excel at, lets direct it in the right place. Living in some idol state of acedia is not acceptable any longer. But let’s also be clear. Women are not damsels in distress. They are not powerless timid creatures praying to be saved. They do not need knights in shining armor, nor do they need men to “rescue” them. What they do need are allies. Men have shown a remarkable power to be exceptional allies when we choose to be. The tables have turned and women have found the strength and confidence to come forward and speak out. Now, the good news is that more and more men are stepping up and standing shoulder to shoulder with women to share the fight for equality. Many are speaking out and they are using their clout and authority to do what is right. Actress Emma Stone recently revealed that male co-stars have taken salary cuts for her in order to close the pay gap because it was both right and fair. In other industries as well, men are coming forward and are openly discussing parity for their female co-workers. In short, many men have had it with the ignominious indignities that women have had and continue to suffer. They are fed up and actually doing something about it. But perhaps its time to think beyond just equality. Now I’m not suggesting that men be reduced or relegated to imbecilic half-wits who’s only useful purpose in society is to lift heavy things and make babies. Not at all. But my masculinity is also not threatened by a smart powerful woman in charge. It does not emasculate me nor does it suddenly make me pusillanimous. I don’t loose my ability to speak my mind or waiver from a firm conviction or position. In other words, in the presence of a woman in a position of power or authority I am still a self-possessed, assertive,confident male. The time has come for men to assist in putting women forward so they may move more quickly into positions of authority and influence. Our country and the world will be a better place for it. « Has the Reality of Virtual Reality Failed?